$1.89 to $44.99 & FREE Shipping on orders over $59 $35. 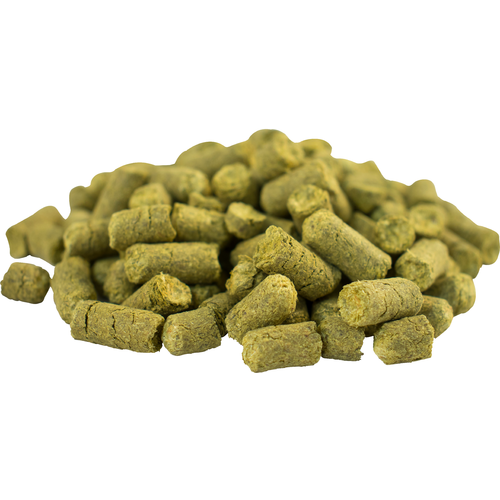 Fuggle hops are similar to Kent Goldings, but with a more noticeable aroma. Fuggle is generally associated with delicate and pleasant mint, grass, and floral tones. When you're making ales and don't want a dominant Northwest-aroma hop (Cascade, Centennial, Columbus or Chinook), nor the softness of Kent Goldings, Fuggles is a fine choice. Great hops for British ales. To make some British Ales! To make a dry Irish stout for St. Paddy's Day...! For my next brew day. Was a good deal. I brew a lot of browns. Great hop for darker British beers. A great price for a great hop! Such a great smell. love these hops. Great hops. Very fresh and sealed well. Great hop for English style beers. Earthy and pleasant. Pairs very well with Kent Golding hops.